Who Is Personal Trainer Alejandro on ‘Kevin Can Wait’? In the Kevin Can Wait episode “Trainer Wreck,” while Chale (Ryan Cartwright) makes the mistake of taking Kyle’s (Gary Valentine) advice at the restaurant, Vanessa (Leah Remini) also makes a mistake. She asks Kevin (Kevin James) to help her get a date with gorgeous personal trainer, Alejandro. Kevin gets distracted with Alejandro at Core-a-Zone. Alejandro is portrayed by Eduardo Verástegui. The Mexican-born singer/actor is known for his roles in the telenovelas Alma rebelde (Emiliano Hernandez/Mario Exposito) and Una luz en el camino (Daniel), among others. Verastegui is also recognized from the 2001 Jennifer Lopez video “Ain’t It Funny” in which he plays JLo’s love interest (see video below). When not on a set, Verastegui is politically active (see photos below). Kevin Can Wait airs Mondays at 8pm on CBS, right before Man With A Plan. Note: CBS All-Access free trial is available streaming 9000+ episodes. ¡Un visionario es aquella persona que ve una fotografía del futuro y que le produce pasión en el presente! ¿Qué ves en tu futuro? ¡Hay que soñar, planear y ejecutar! Regálate momentos de silencio a solas con Dios. A visionary is someone who sees a picture of the future that produces passion in him on the present. what do you see in your future? let’s dream, plan and execute. Let’s spend good quality time in silence with God. En Washington, D.C. con el Doctor Alberto Vega, visitando a importantes miembros del gobierno de Los Estados Unidos, @secretaryperry y @betsydevosed con el buen diálogo construimos puentes. Hablamos sobre la próxima película que produciré sobre la trata de menores. 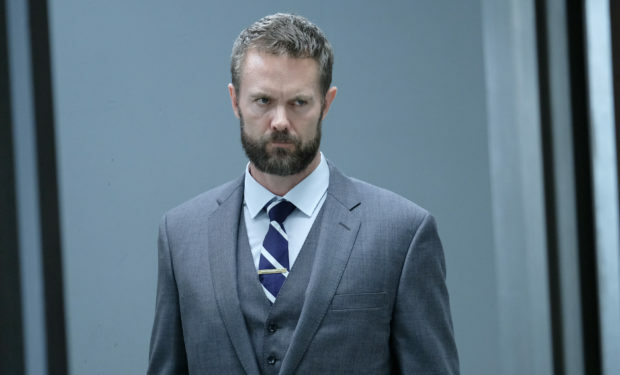 Who Is Ruthless Dr. Roderick Campbell on ‘The Gifted’?